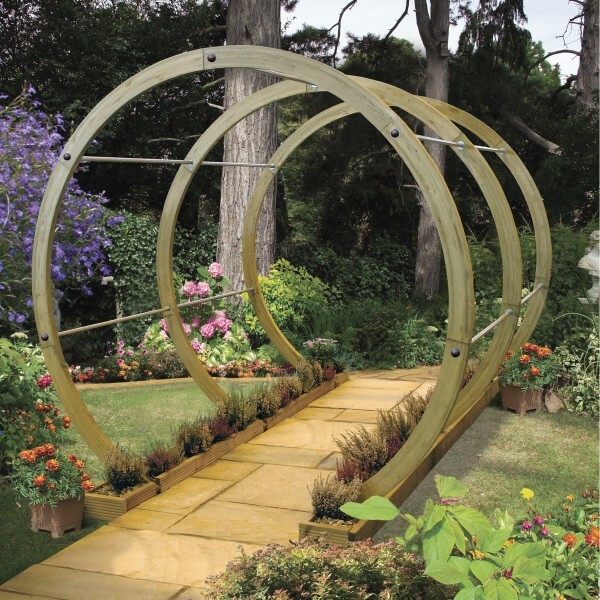 The Flower Walk features 3 Flower circles connected by stainless steel rods to create an eye catching feature walkway. 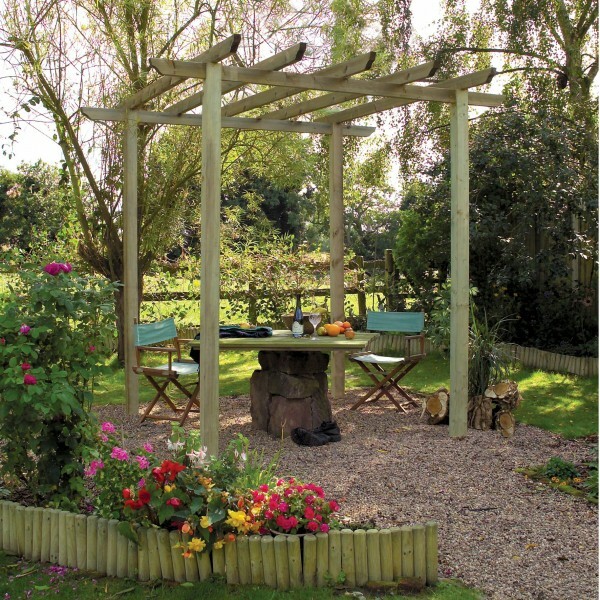 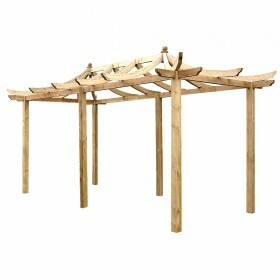 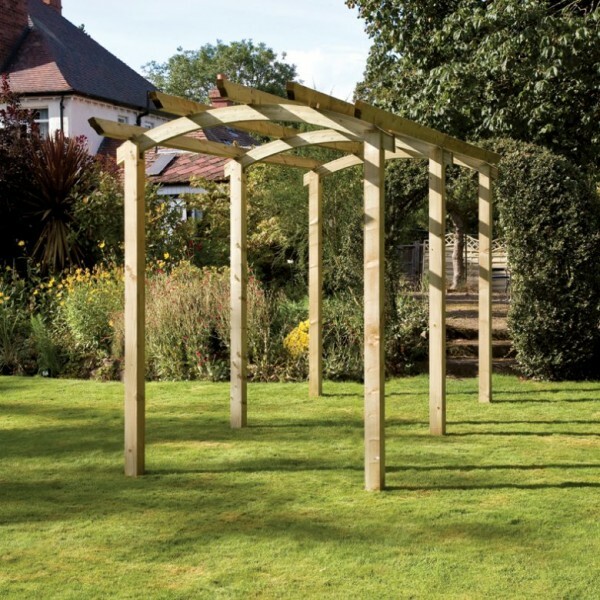 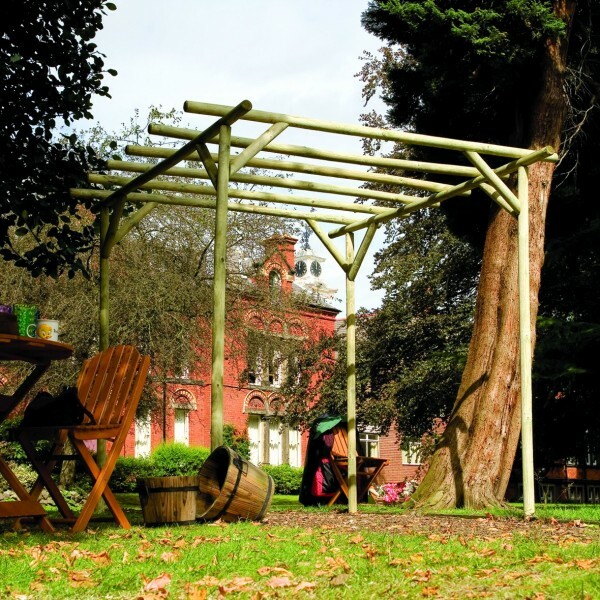 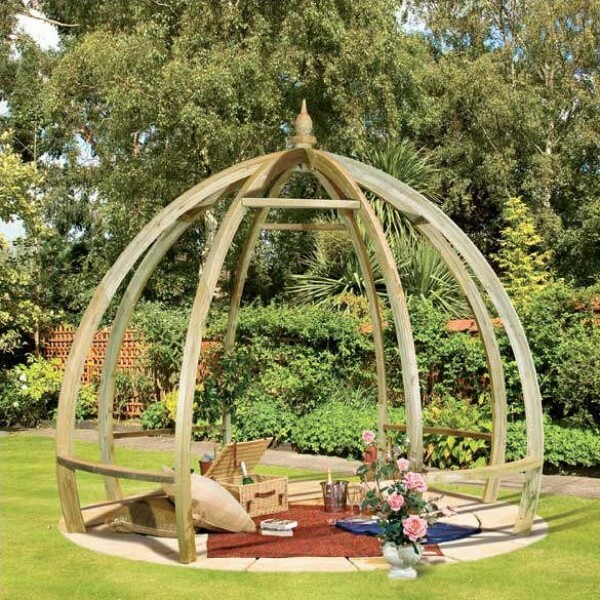 This marvellous structure adds a contemporary look of your outdoor space with its clean, simple design crafted from round timber pressure treated beams. 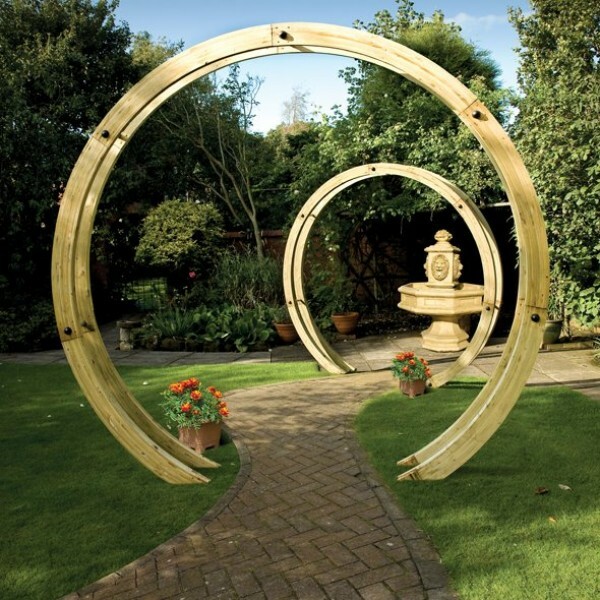 Each Circle is composed of three timber circles. 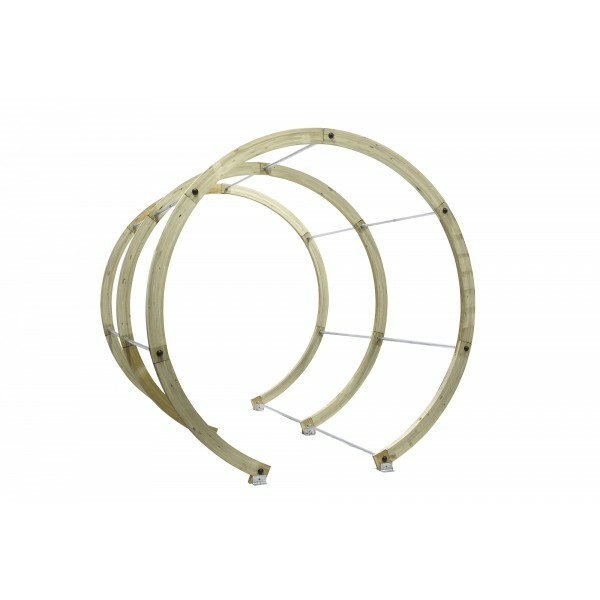 The gap between the circles are 1.2m and fits a path of 0.82m. 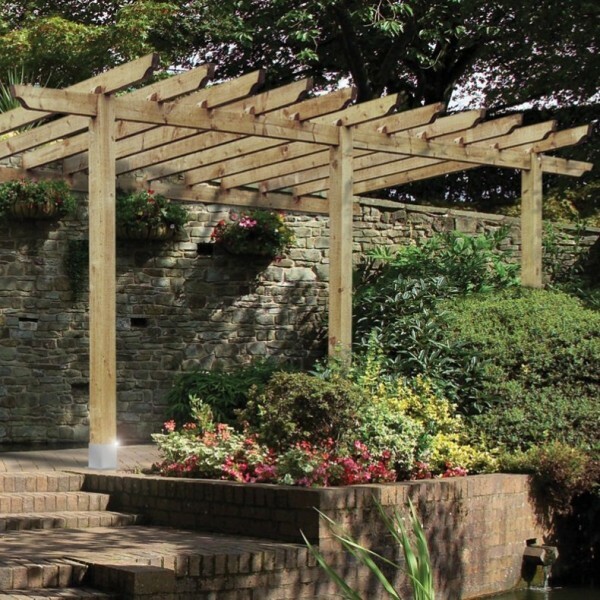 3 options available The timber is pressure treated for extra resilience and protection.